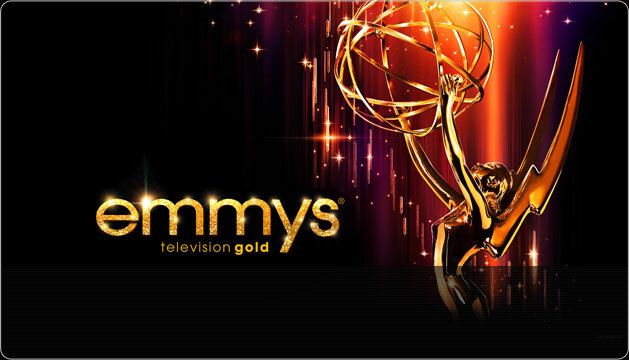 - Should be the runaway winner and need a wheel barrow to take home all the Emmy’s this series will win. - Do people actually watch this show? - The time has come to pass the torch…shouldn’t this show be set in 1998 by now? - Finally the man is getting the credit that is long overdue. He’s got Philip Seymour Hoffman ability and I would watch anything he is in. - A very underrated series and a stellar performance by Olyphant who plays the role like he was born for it. After a short-stint on The Office, I think he’s found his comfort zone. - I was a big fan of the show but wouldn’t be surprised if it had a short-lived run. She is much better suited for her role here than as the CEO of Dunder Mifflin’s parent company. - Usually you can’t go wrong with a Law and Order nominee and I wouldn’t be upset if she got the nod. It is their best show in the franchise as far as I’m concerned. - Is it just me or has she annoyed the crap out of anyone else ever since her breakthrough on ER? - A regular on the awards circuit, it was finally (and rightfully) overtaken last year by what should be a back-to-back winner. - Please whatever happens do NOT let this show win another single award! Save me!! - While it took a slight dip from last year’s season, in my opinion it’s still the funniest show on TV and more than deserving to win again. - Unfortunately it won’t be a storybook ending for the iconic show and I can’t see it winning here, unless for nostalgic reasons. Nonetheless the final season was solid overall and a marked improvement from the prior ones. Oh wait…you mean the show is still running??? Crap. - Surprisingly enough, I think this show is a bit overlooked and underrated. It’s actually been funnier than its Thursday night network brethren at times. - Even though he’s a creep and skeevie, he is still an awesome actor. Come to think of it, he fits the role perfectly. Unfortunately for him, I think he has some new competition in the category this year. - Speaking of skeevie…Louis C.K. could be in the running for the award this year if only enough people watched his show. He’s brings a new breed of comedy to the screen and forces your amusement, that is, if you can stomach him. - Will he receive a farewell award as a parting gift? I actually thought his performance in the last season was better than it had been in the last few so he’s worthy of a nod. - Is Joey up for an award or is his character Matt? Or wait, is it the other way around? I have no idea, but what I do know is seeing his name in the list of nominations makes me want to laugh out loud…only not at his show. - Since she carries the show I think she would be deserving of the award. - Surprise, surprise, I think she may run away with it again. Just someone tell her to stick to the smallscreen please. - Call me crazy but no matter what I cannot see Carmela Soprano as a lead comedy actress. Sorry. - I think he’s the glue for the show, only they won’t call him a lead actor yet. I can’t see the award going to anyone else. - Think somebody misses Chuck the warlock now? - I think the show is a shell of what it used to be but without Kristen Wiig there wouldn’t be any reason to watch anymore. - She is good for the show but not sure she there is a single dominant female character that deserves the award. - Somehow she continues to be hilarious over the course of like 4 generations! - Hands down one of the better shows on TV right now (where is the nod for best drama series??) and since Ray Romano and Scott Bakula (yes, that Scott Bakula) were snubbed in favor of the entire cast of the also-ran “The Good Wife”, my vote goes to Braugher and no one else. - I’m assuming she’ll be in the running but I wouldn’t be surprised if the “Mad Men” mania won out. - This show needs to be axed for good so please put us out of our misery. I can’t tolerate another season with that judging panel. Not to mention, I thought the talent level was garage this season….that is, until I watched “The Voice”. - What are the chances a reality show about people with some actual talent ends up winning an award? Slim to none but it should be in the discussions.